Refer to our Concierge team for the easiest way to obtain a deposit bond. If you are settling within 6 months, and have obtained a loan approval or have unconditional proof of funds to settle on your purchase, you can refer to our concierge team. #3 Contract of sale for your purchase. Our Concierge will prepare the application for you within 1 business hour, ready for signing electronically with Docusign. Sounds easy? It is! ✓ Best of all it is FREE! If you don’t want us to lodge your finance backed deposit bond application for you then you can proceed to fill out an online application yourself. If you have a formal approval or the funds to settle and are settling within 6 months? 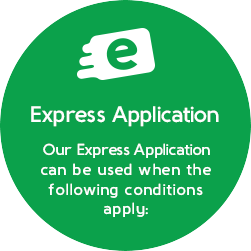 Apply using our express application. 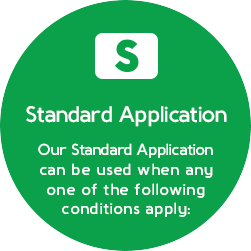 For all other deposit bonds, apply using our standard application. Under Deposit Assure’s new policy, buyers will be eligible for a pro rata refund of their premium, where your purchase settles more than 6 months before the expiry date of the deposit bond, up to a maximum value of 18 months. To claim the refund, we must receive (a) written proof of the actual settlement; (b) the ‘original’ Deposit Bond; and (c) notice of your intent to apply for a refund within 45 days of the Settlement Date. Want to learn more about deposit bonds and how they work? Click here. Want to work out the costs for a deposit bond? Get an instant quote using our Fee Calculator. 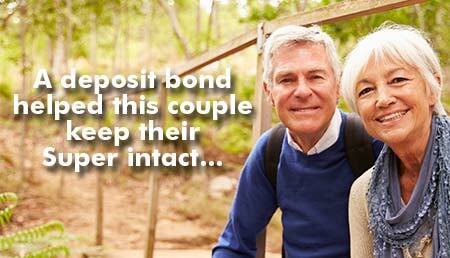 Learn more about our deposit bond concierge service. Check out our infographic that has everything you need to know about deposit bonds and will answer all your questions. Click here. To download a PDF copy of our infographic please click here.